This study demonstrates life cycle assessment (LCA) on a reference wooden building according to the latest normative standards: EN 15978, EN 15804 and EN 16485. Global warming potential and primary energy balance over the reference building were assessed in a case study. Through the assessment, the application of the standards was studied. 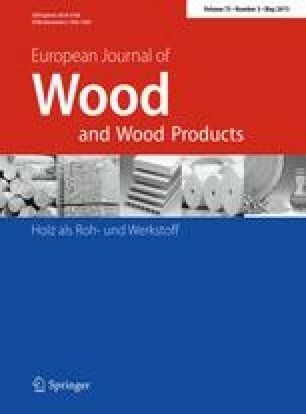 In addition, possible points for development in the standards, especially concerning wood products and wood construction, were discussed from a practical perspective. The lack of proper data is a critical issue in conducting the assessment in compliance with the standards. Since LCA is a data-intensive method, the preparation of data for the building assessment according to the standard is certainly required. This paper also raises questions about the life cycle modules defined in the standards and the importance of the communication system used for the assessment results. It would be of importance to develop the communication system in such a way as to stimulate environmental consciousness in society. In order to develop a relevant communication system, further discussion and case studies would be important and feedback from such practices should be incorporated into the development of the guideline for the assessment. The authors gratefully acknowledge funding support from WoodWisdom-Net, Finnish Wood Research Oy, The KONE foundation and The Finnish Cultural Foundation, as well the Huber & Sohn GmbH for all the support for the research data.